Can he break the mould in administration as he has in politics? A few of the more contentious issues and/or potential areas of conflict for the Centre and the new Delhi Government. Excerpts from a short chat with Arvind Kejriwal right after his historic win in the Delhi polls. AAP’s big promise, cheap power and water in starved Delhi. Can they make it happen? It has wind in its sail. What can an outbound AAP do? That EVMs can be tampered with is proven, why not a paper trail? 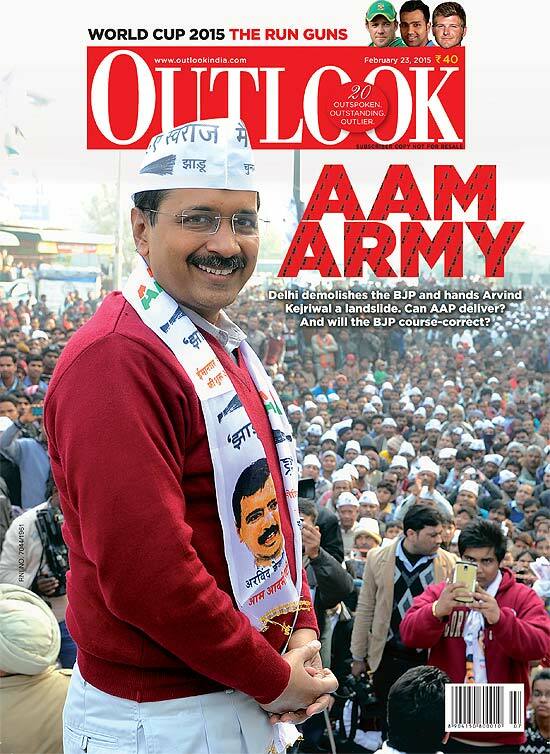 Why has Delhi voted for the aam aadmi? It’s not in its character. A 500-run feast? All sorts of heroics are possible this World Cup. After the last few months of penning Modi's life story, publishers now turn to the man of the moment, Arvind Kejriwal. It is about time someone asked Sachin Tendulkar if he is beginning to lose his masterful touch. The English tea served at the Lobby Lounge is a perfect reminder of the past that has all but vanished from recent memory. According to blabbermouth Bedi, she lost because her Krishna Nagar constituency lacked clean parks! More silly and stupid than profound and philosophical.